The Palestinian Authority (PA) reacted with shock and fury to revelations made by the Arab satellite TV channel Al-Jazeera this week that it had received leaked documents showing that Palestinian negotiators had been ready to make far-reaching concessions to Israel on cardinal issues of the Arab-Israeli conflict, including Jerusalem and the right of return for millions of Palestinian refugees. The seemingly authentic documents, on which PA negotiators' signatures can be seen, largely consist of the minutes of meetings held between Israeli and Palestinian negotiators. American officials and mediators also took part in some of these meetings. The documents show Palestinian negotiators as having been willing to cede large parts of East Jerusalem to Israel, including most if not all the colonies built in the Jerusalem region east of the former armistice line since 1967. The PA is also shown as having been ready effectively to liquidate the paramount right of return of Palestinian refugees by entertaining ideas that proposed the repatriation of a negligible number of refugees to their original homeland in what is now Israel. Similarly, the documents, now dubbed the "Palestinian Papers", show a clear PA propensity to cooperate and occasionally even to collaborate with Israel against the Islamist group Hamas, especially during the all-out Israeli onslaught on the Gaza Strip nearly two years ago. While the papers contain very few real secrets, as details of the Israeli-Palestinian negotiations since the Oslo Accords of 1992 are widely known among journalists and academics, this is the first time it has become known that the PA had been willing to abandon, or at least evade, long-held Palestinian national constants that had come to form the closest thing to a Palestinian consensus. These constants enjoy general acceptance by all the Palestinian political factions, including Hamas and Fatah, the two largest political movements in occupied Palestine. It is not yet certain who leaked the documents to Al-Jazeera. Some Palestine Liberation Organisation (PLO) officials allege that an insider from the PLO negotiations department leaked them for mercenary reasons, while others accuse the hawkish Israeli Foreign Minister Avigdor Lieberman of deliberately leaking the documents in order to embarrass and therefore weaken the PA leadership in the hope of blackmailing it into further concessions. Whatever the identity of the leakers turns out to be, the leaks are unlikely to be very consequential, given the known positions of both sides. PA officials reacted angrily to the revelations, accusing Al-Jazeera of attempting to carry out a character assassination of the PA and tarnish its image. One PA official went as far as to charge that the Qatar-based network had "declared war" on the PA and was working with Israel to undermine the Palestinian cause. Some Fatah supporters tried to storm Al-Jazeera's offices in Ramallah but were dispersed by police. Many Palestinians among the more educated segments of the population have scoffed at the near hysterical manner in which PA officials have received the revelations, judging that there is no smoke without fire. PA chief negotiator Saeb Ereikat, who appeared on Al-Jazeera as the network was broadcasting its report on the documents, seemed unprepared and shaken by the revelations, even losing his composure when responding to questions about documents bearing his signature. The following day, the PA instructed Yasser Abed Rabbo, the secretary-general of the PLO, to launch a scathing attack on Al-Jazeera and Qatar, including the country's emir, Hamad bin Khalifa Al-Thani. Abed Rabbo said that Qatar was in no position to lecture the Palestinian people and its leadership on patriotism, adding that the existence of a large American military base in Qatar, as well as the emirate's relations with Iran and its support for "sectarian forces" (a possible allusion to Hizbullah), made Qatar unfit to tell Palestinians what they should think or do. However, Abed Rabbo's remarks appeared to be off the subject at hand, as he refused to discuss the serious aberrations from the declared Palestinian stance that appear in the documents. "Some of these remarks were jokes and human reflexes that were not meant to be formal positions," said an angry-looking Abed Rabbo. "I must also thank his highness the emir of Qatar for his promoting the issue of transparency in the hope that he will now expand it to include the American military base in Qatar, especially its role in spying on the Arab nations." The most moderate reaction came from PA President Mahmoud Abbas, who described the negotiation documents as "nothing new." "I don't know how Al-Jazeera obtained all these 'secrets', because there is nothing secret about the negotiations with Israel. Everything we do with regard to the negotiations we inform our Arab brothers and [Arab League Secretary-General] Amr Moussa about," Abbas told reporters in Cairo. Nonetheless, Abbas seemed to have decided to take measures against Al-Jazeera. Fatah sources said a circular had been sent to all Fatah members instructing them to boycott the channel. A few hours later, Nabil Shaath, a high-ranking Fatah official, appeared on the network, saying that Al-Jazeera should not attempt to make an issue out of every word or observation appearing in the documents. "It was agreed from the very beginning that nothing is finished until everything is finished. So what is written in these documents has no practical value," Shaath said. Shaath was silent, however, when interrupted by one of Al-Jazeera's presenters, who argued that the observations appearing in the documents showed at least a propensity on the part of PA negotiators to compromise on paramount issues related to Palestinian rights, such as Jerusalem and the right of return for the refugees. As expected, Hamas also castigated the PA for "hiding the truth from the Palestinian people and for showing a willingness to sell out on inalienable Palestinian rights." "We consider these documents to be further evidence of the security and political decadence to which the PA has stooped," said Hamas spokesman Sami Abu Zuhri. "The documents show that the PA is not to be trusted in leading the Palestinian people towards freedom and liberation." 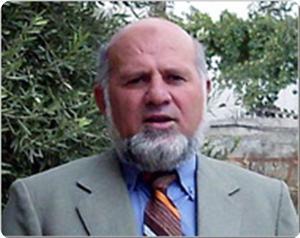 Another Islamist spokesman, Mahmoud Zahar, called on Arab populations to take to the streets to declare their rejection of PA "treachery and capitulation." While the bombshell of the papers may undermine overall Palestinian standing, some pundits have argued that Al-Jazeera's revelations may also have a long-term positive effect. They argue that Palestinian negotiators will think twice from now on before ceding to Israel on sensitive matters such as Jerusalem and the refugees, knowing the angry reactions to any capitulations to Israel.